A seasoning mix with mustard seeds and garlic for beef bourguignon. 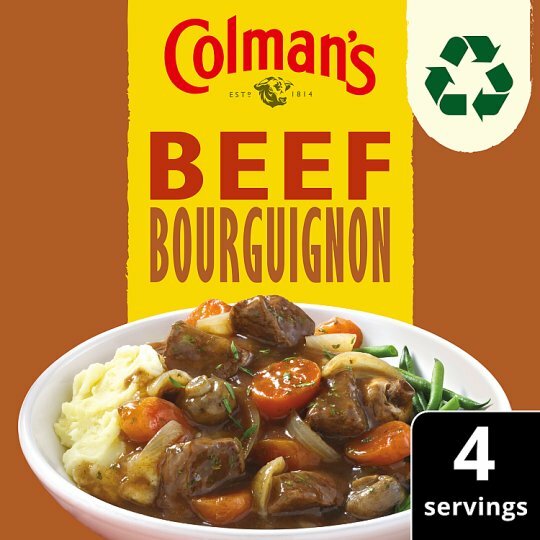 This packet of Colman's Beef Bourguignon seasoning mix helps you create tasty, hearty meals for the whole family to enjoy. Containing a carefully selected blend of herbs and spices, it has never been easier to serve up ‘meals that say it all'.